Many people assume heart failure is when the heart stops working completely. And with the way the condition is named, we wouldn’t blame them. 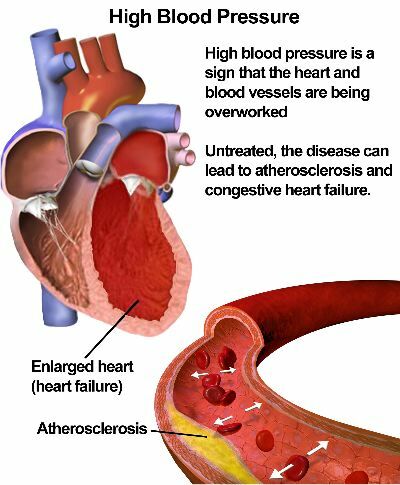 People also use heart failure interchangeably with congestive heart failure. But while the two are somewhat synonymous, they are actually slightly different. We focus on the condition itself and medications for congestive heart failure in this article. Heart failure is a heart disease that occurs when your heart cannot keep up with its normal duties. It affects the normal pumping of blood, which results in your cells not getting enough blood. The condition is incurable but can be managed with medication and lifestyle changes. There are three major types of heart failure including left-sided heart failure, right-sided heart failure, and congestive heart failure. Congestive heart failure is a congestion in the body’s tissues that occurs when blood in the veins backs up due to slow blood flow from the heart. The condition leads to fluid collection in the lungs, which causes shortness of breath and swelling, with notable cases in the legs and ankles. Like heart failure in general, the condition cannot be cured but is manageable through medications for congestive heart failure and lifestyle changes. When you’re diagnosed with this condition, your doctor or cardiologist will recommend that you begin treatment immediately. This could include lifestyle changes, medications for congestive heart failure and even surgery if the condition is serious. Let’s take a look at the 5 different types of medications for congestive heart failure. Each medication has its purpose and is for a specific stage of heart failure. Nitrates are prescribed medications for congestive heart failure that function to prevent and treat chest pain and heart pain. These pains (also referred to as angina) are the result of blocked or clogged arteries in patients diagnosed with heart failure. Nitrates (or nitroglycerin) help expand your blood vessels for better blood flow and relax your veins for controlled blood flow into the heart. This makes it easier for your heart to function normally or at least close to normal. Nitrates can be administered in the form of pills held under your tongue, as an ointment or patch on your skin, or a sublingual spray on or under your tongue. Also commonly referred to as water pills, diuretics are prescribed to rid your body of sodium and excess fluids. These fluids are present in your lungs, legs, ankles and other parts of the body that are swollen from the condition. Diuretics remove these fluids through urination, which leads to reduced swelling and a more relaxed heart. And since this type of medication for congestive heart failure reduces the fluid in the lungs, patients can also experience improved breathing. When you’re suffering from congestive heart failure, the heart does not pump blood as usual. Your congested blood vessels lead to slower blood flow and backed-up blood in the veins. To remedy this, a doctor may prescribe vasodilators to help relax your congested blood vessels so blood can flow with ease. This medication targets the pulmonary arteries, coronary arteries, leg veins and other systemic arteries. Vasodilators are common medications for congestive heart failure and high blood pressure patients. They function in the same way nitrates do. This type of medication for congestive heart failure helps slow down the heart rate of patients, allowing complete flow of blood through the heart’s left ventricle. Beta blockers may also help dilate blood vessels in the body for improved blood flow. This type of medication is prescribed more commonly to hospitalized patients with reduced left ventricular ejection fraction. This type of disease is also referred to as systolic heart failure and is a type of left-sided heart failure where the left ventricle does not contract normally. Inotropes are best used as medications for extreme cases of congestive heart failure in extreme cases, such as during the end stages of heart failure, when doctors are considering a heart transplant or similar life-changing decision. Inotropes slow down or improve symptoms in patients by maintaining fluid levels and keeping pulmonary pressure optimized. Some of the inotropes used today include Digoxin, Milrinone, and Dopamine, among others. If you or a loved are experiencing heart failure or at risk for heart failure, don’t give up hope. See your doctor and ask them about what medications might be appropriate for your specific condition. Schedule an appointment with your cardiologist for a specialized heart failure treatment. Filter through patient testimonials and experiences of Manhattan Cardiology.